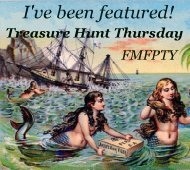 Welcome to Treasure Hunt Thursday! Thank you so much for stopping by the party. We have a lot of fun getting together here every week sharing our treasures. If you have a treasure you would like to share whether it be purchased, home made, or just something you would like to show off please feel free to link up! Last week we had some great entries! 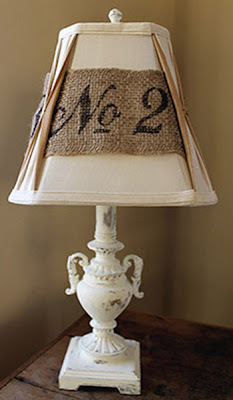 Did y'all see this fabulous lamp make over at From Generation to Generation! Becky did a fabulous job! My heart skipped a beat when I saw Deserae's farmhouse dining room table over at Peeking Thru The Sunflowers! 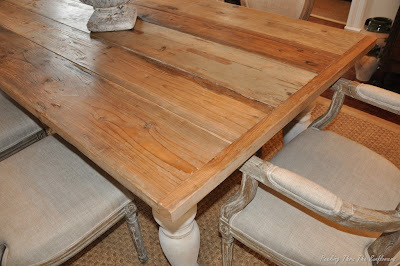 Once our dining room table top is beyond acceptable I want to replace it with a fab top like this one! 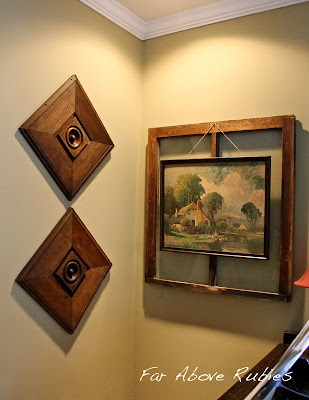 Did ya see Anita's fab treasures over at Far Above Rubies and how she displayed them? I love the story behind her treasures!!! Wow - that table is amazing! Another fun party! Great features, Pamela. That table is fabulous! Thanks for hosting. Thanks for hosting a great party Pamela! Sure liked that farm table tabletop. Thanks for hosting. Thank you so much for hosting..look forward to this every week...Great features today!! I so love that little lamp! Thanks for the party! I just linked up a bad ugly picture, but it will turn into something lovely soon! Hi, Pamela! So glad I was able to catch your party this week! Hope you're having a great week! That lamp is great! Thanks for hosting the party!!! Pamela, thank you SO much for featuring me!! I do love that blue damask also, and so many photos. I am late to the party, but I got here!! Thanks so much for hosting. ...and so you don't think I'm crazy. I had scrolled to the post below before it loaded up, so that's the damask I'm talking about!! Pamela, great features! Thank you for hosting another wonderful party!